At Coolbraces.com, we put you at the forefront of all we do. When you’re in our care, our focus is on your comfort, your needs, your goals, and your smile, always. We know that the strongest orthodontic treatment results come from a combination of artistry and technique. Dr. Ejaz Tahir combines his extensive expertise in both to develop unique treatment plans for each patient in his care, determining the best approach for the individual’s situation, and ensuring the resulting smile will be aesthetically pleasing. The moment you walk into our office, you’ll be warmly greeted by our team members and see the smiles on our patients’ faces. The mood in our practice is always positive and upbeat, with lots of laughter. Our patients and their families like coming to visit us, with the patients eager to share their latest stories about school, work, and adventures, and their parents looking forward to hearing an update on the smile-creating progress being made. Our team members are friendly and approachable, and we love what we do. Our jobs involve transforming people’s lives, one person at a time, increasing their self-esteem and confidence with which they move through the world, while we create their new smile. We enjoy getting to know each patient on a personal level and developing a lasting relationship with them. It’s rewarding to work in a great atmosphere, doing something we love! 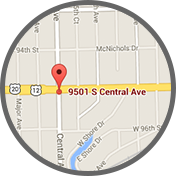 It’s essential you know you can trust us to provide the highest level of orthodontic care. We will never recommend treatments that are not right for you, and will always recommend the most minimally-invasive approach that will yield the strongest, best results. We will always listen to you, encourage your questions, and answer them fully and honestly. Should you ever have any concerns, we will immediately and appropriate address and resolve them. 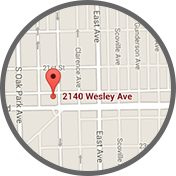 We offer complimentary consultations at our two orthodontic offices, located in Berwyn and Oak Lawn, IL, serving the communities of Burbank, Chicago Ridge, Cicero, and Forest Park. Please call to schedule your consultation, or one for your child, today! 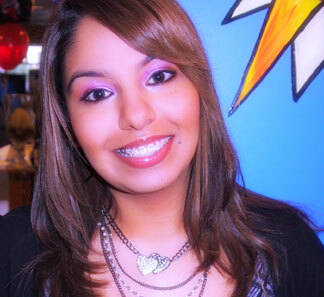 Everyone at Coolbraces.com looks forward to meeting you and working with you toward a healthy, beautiful smile!